Things are quite literally taking off over at the house. 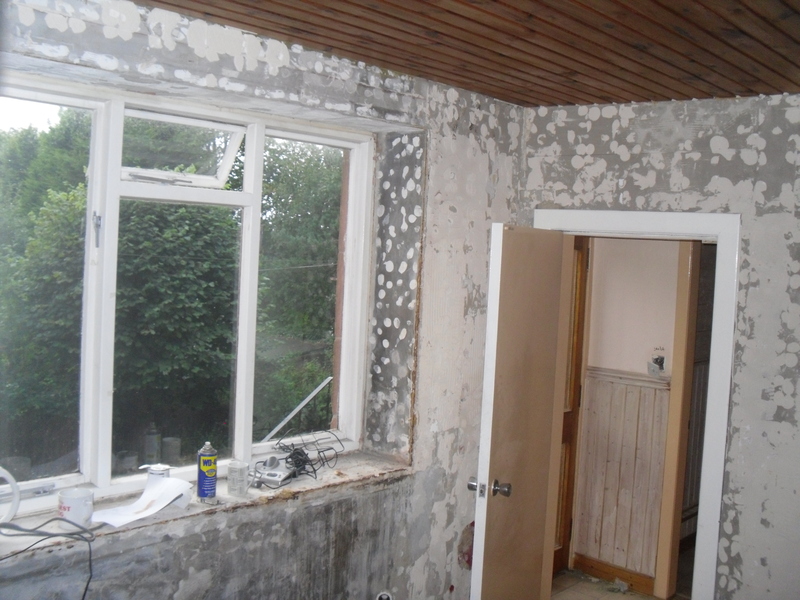 We’ve ripped out carpets, kitchens, bathrooms, built-in furniture and what feels like miles and miles of wallpaper and got rid of one large asbestos pipe. 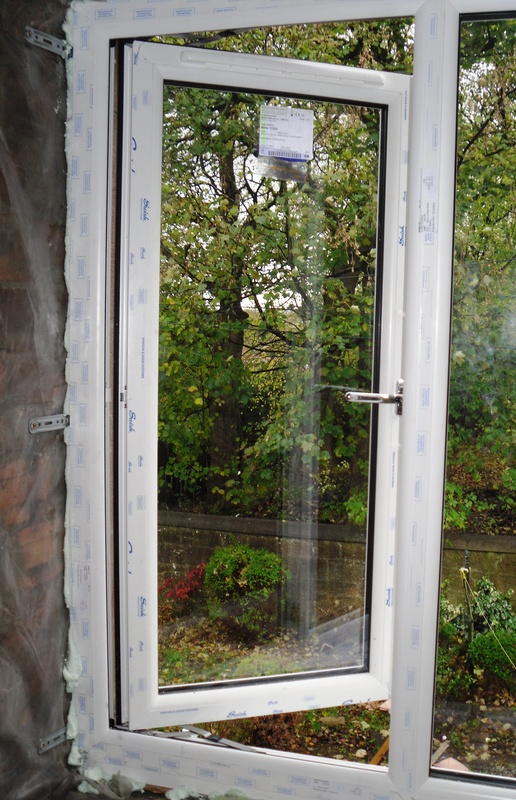 The last big ticket item that had to go were our rotted and peeling single glazed windows in the kitchen. 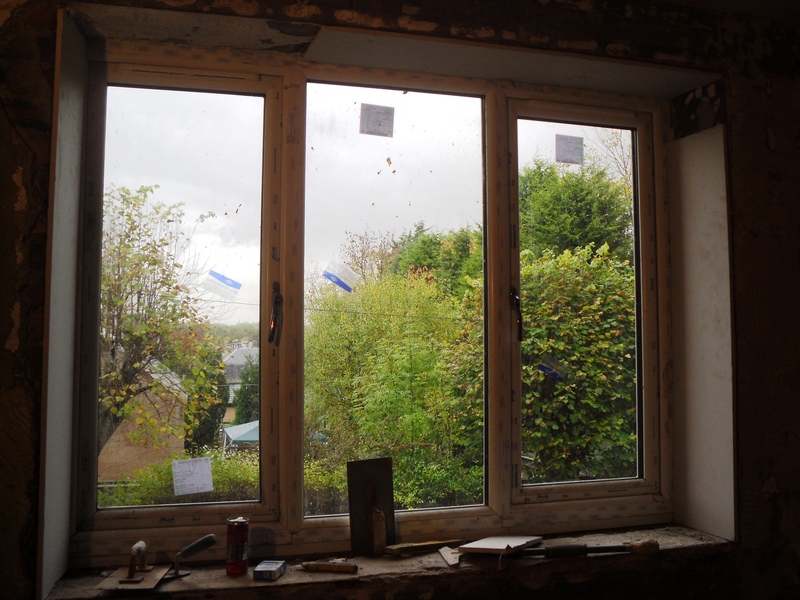 Our contractor Dominik from Polbuilt had them on order so we were waiting to seal up the window frames, get the plastering completed and install the kitchen. Before this blog post starts to become me convincing you how terrible they really were I’ll swiftly move on to the after photos in the hope of wowing you with sheer content. 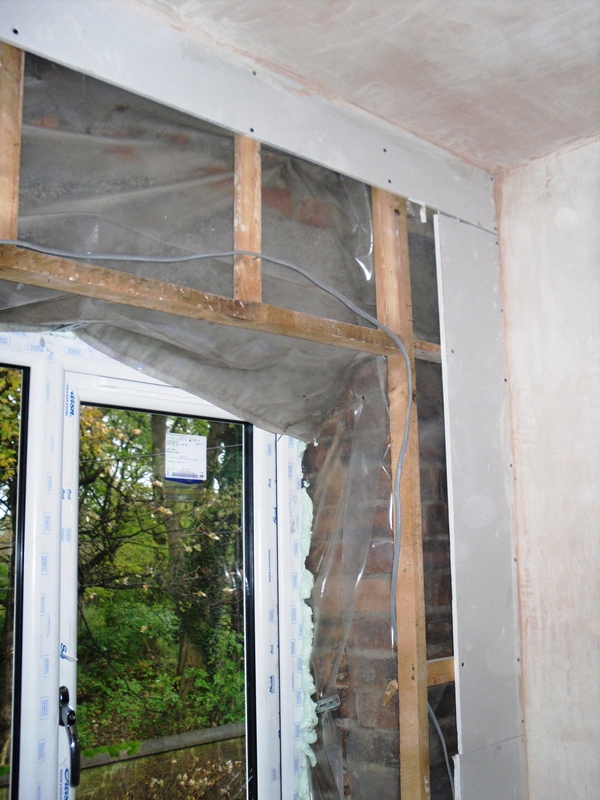 This is the window to the side of the house, and eventually when the kitchen is installed the sink will sit just under the window. This will be our view when washing dishes, or indeed loading the dishwasher as it will sit to the right of the sink. 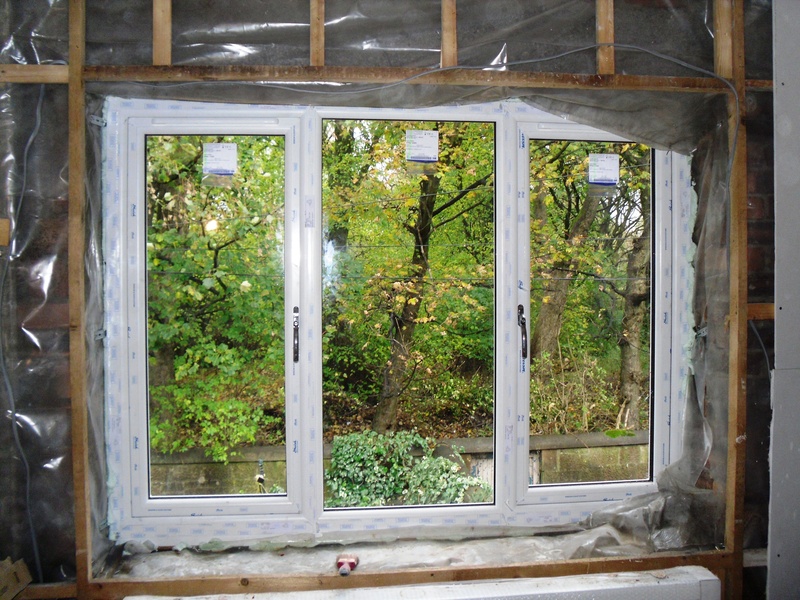 This is the window to the rear of the house showing the view out to our garden and the forest path that runs along the back of our house. Don’t they look so nice and shiny? I am sure that there are all sorts of other benefits to double glazing but I am mainly impressed by how great they look (and the fact they open smoothly (always a plus). 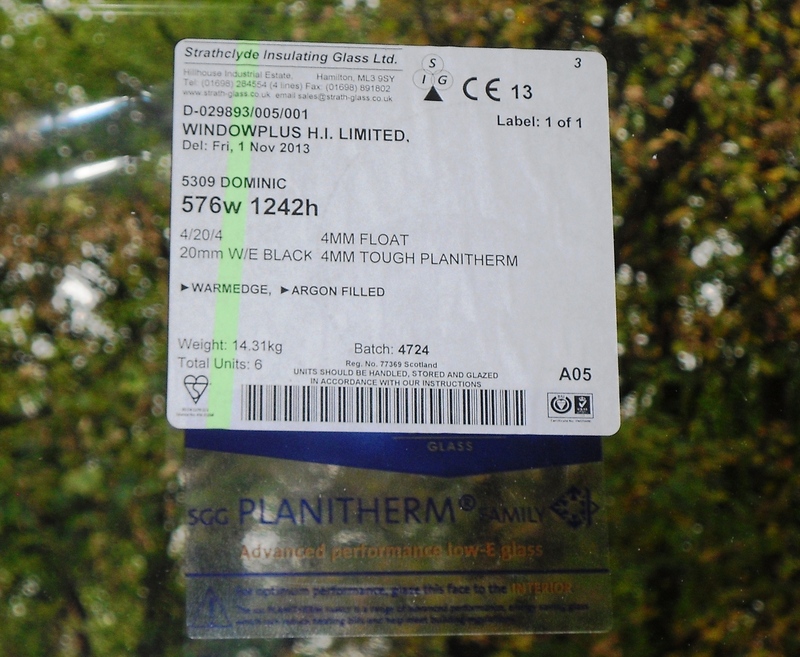 For those wondering the specs I have included a photo below – and I am assured that they are very effective at insulating so we’ll enjoy that aspect of them when we eventually move in. 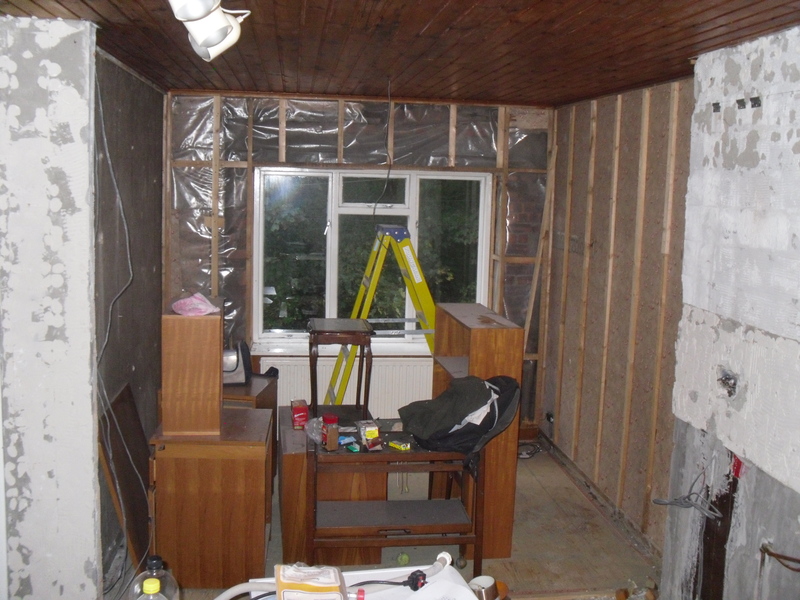 As you can see from the last photo the wall still needs to be plasterboarded closed and I expect that will be happening over the next day or two. One other bit of fabulous news is that our kitchen cabinets are being assembled. They are hiding in deep cover but when I stopped by house to drop of the wood I was so excited to see them IN REAL LIFE! After some months of this project we’ve paid a lot of money for a lot of things but very few have made it out of the wrapper. It is nice to see things being put in their rightful places and uncovered. 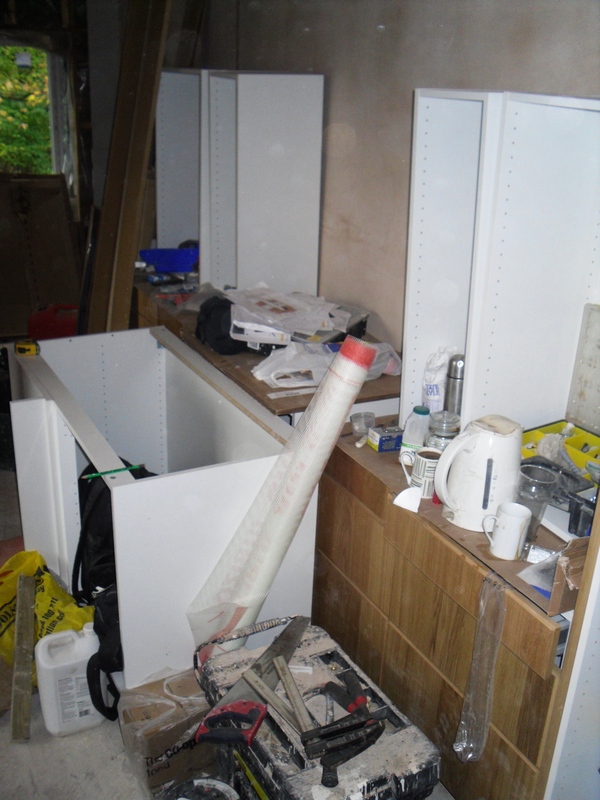 Brace yourselves – it is covered in debris – but can I get a wow and a gasp at this mini-kitchen reveal? That’s all folks for this post. We’re very glad to have made it to the point in the project when things start actually getting better. I was positively floating back to the car yesterday after these changes. How about you? When was your turning point on a project? We’re enormously grateful that we’ve moved on past the it-gets-worse-before-it-gets-better stage. ← What Wood you pick?